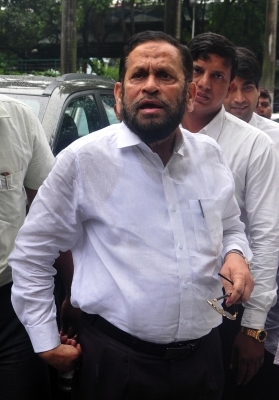 Kolkata, Sep 4 (IANS) Trinamool Congress Lok Sabha member and former union minister Sultan Ahmed died on Monday following a massive cardiac arrest, a hospital said. He was 64. “Sultan Ahmed died around 11.30 a.m. at home. He was brought dead,” a hospital spokesperson said. Ahmed is survived by his wife and two sons. Ahmed was the deputy leader of Trinamool’s parliamentary party. Prime Minister Narendra Modi and West Bengal Chief Minister Mamata Banerjee expressed their condolences. “Saddened on the demise of … Sultan Ahmed. My thoughts are with his family and supporters in this sad hour,” Modi tweeted. “Shocked and deeply saddened at the passing away of… my long time colleague,” Banerjee said. Ahmed, a two-time Lok Sabha member from Uluberia in 2009 and 2014, had served as Union Minister of State for Tourism in the UPA government. He was also a two-time Congress MLA in the West Bengal Assembly (1987 and 1996) before joining the Trinamool. “The entire family of Trinamool Congress is saddened on the demise of our MP,” party leader Subrata Bakshi said. Ahmed’s name had figured in the Narada sting case. Ahmed was also the city Mohammedan Sporting football club president since 2009. Kushal Das, general secretary of the All India Football Federation (AIFF), the parent body of football in India, said AIFF, too, was saddened by the “irreparable loss” and extended its “heartfelt condolences” to his family.